I wrote a story, an essay, and submitted it for publication in an actual print magazine. Actually, I pitched my story idea, it was accepted and I was left with the daunting task of having to not only write it, but meet a deadline. I’ve mentioned this before but it’s been harder than I thought to write about cochlear implant journey. I kind of felt like it quickly become a non-event after I got over the novelty of it. My cochlear implant device, the Kanso, a part of me now– not any separate from me than, say, my ears themselves. Though, I have to admit, I don’t always put it on first thing when I wake up like I do my glasses. After a night of silence, it can be jarring to re-enter the world, with all it’s little noises. Anyway, back to the essay. I had to go to pen and paper to write this essay. I wrote two or three versions of it, then picked one to work with. The theme of the issue was Transformation. 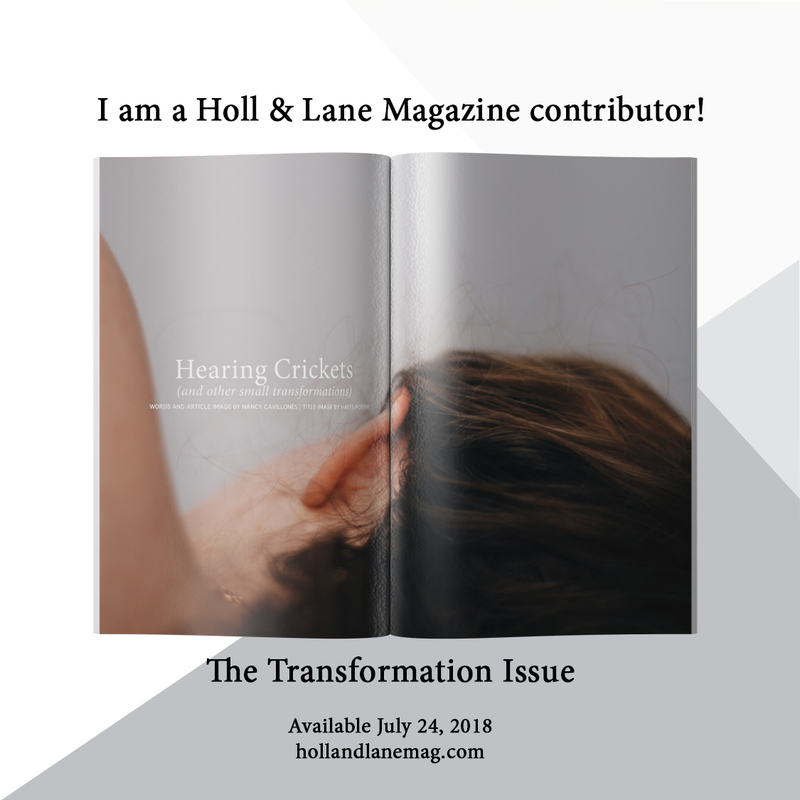 When I originally pitched my story idea, I was thinking of some grand transformation vis a vis my cochlear implant, but the more I thought about it and tried to write about it, the more I realized that I didn’t have this HUGE HUGE transformation. I had a series of little transformations that added up to this amazing life change. So, did I have this wildly amazing and dramatic transformation? Have you seen those videos on YouTube of babies and other people having their cochlear implant turned on for the first time? Those videos really tug at heartstrings. How amazing to hear your mother’s voice for the first time or hear someone say I love you. That was not my experience. But don’t feel bad for me! It was still exciting to hear those electronic beeps and boops and know that my brain was working hard to turn all that noise into something meaningful. I hope you like it. I’d love to hear from you after you read it. Next Post California, Here We Are.